In order to reduce the impact of the Grand Largue on the environment, Avel Vor Technologie only used environmentally friendly products. To clean up the poluted water on the Grand Largue, AVT used again environment respectfull products. To treat water contaminated by oil in the bilge, a sponge filled with bacteria was filed. By bacteria, the oil is broken up into water, carbon dioxide and fatty acids (soluble in water). A few weeks later the iridescent water had indeed disappeared. 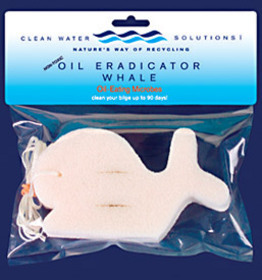 This product is sold by a hardware distributor based in Antibes, Discount Marine Supplies. Another system to clean bilge water will soon be experienced in conjunction with the company Process Bien Etre. A new product will be used : Oxybac T.
The toilets installed on the Grand Largue are an ordinary camping toilets in which the commonly used chemical products are replaced by natural products provided by the company Process Bien Etre. 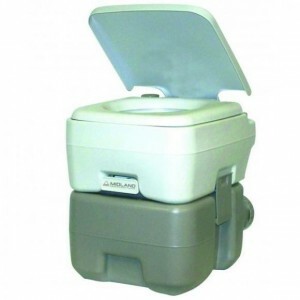 This provides a very simple and effective biological toilets. Organic wastes are treated with a product oxygenating water (Oxytank) which ensures the development of aerobic bacteria (they get their energy from oxygen) and a biocide algaecide (Oxypur) totally natural and biodegradable since hydrogen peroxide is concentrated. The combination of these two products allows to treat the blackwater. The fouling release coating is eco-friendly. The Grand Largue was careened using environmentally friendly products, provided by the Seawax company based in Saint-Raphael. The paints used are “eco-designed” and formulated with vegetable fats and avoids the use of biocides (hazardous to the marine ecosystem). The antifouling coating provides an effective and ecological protection of the hull, provides a slower wear boat and allows it to maintain a proper glide. 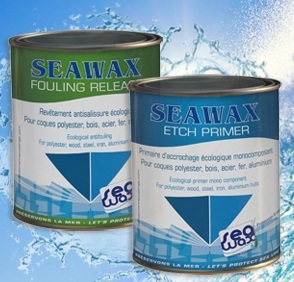 A primer layer (Seawax Etch Primer) ensures better adhesion of antifouling coating (Seawax Fouling Release) for which two layers are sufficient to protect the hull for a year. 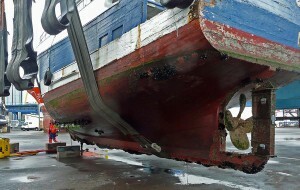 Then, every year, one to two layers of antifouling must be reapplied to maintain good protection. Emitting Diodes (LED) have been installed on the Grand Largue to save electricity and thus diesel. LEDs make it possible a saving of over 80% compared to halogen lamps. 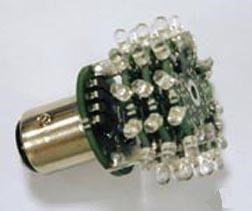 LED bulbs were sold by the company Breizelec based in Brittany. The quality of their design provides good control, increased longevity and soft lighting (warm white is better than a pale white light). On a tide, fuel economy is negligible but it becomes significant taking into account the duration of the fishing season and the duration of life of the lamp. If the LEDs are interesting to use, it should be noted their important purchase cost. This is a major hindrance to their development.